Please contact our customer support with the name of the video and a link to the video. Please use the subject line “Inappropriate Video” when contacting us. BeeTV is the premier destination to get rewarded for watching videos on-line. Hundreds of videos are available for viewing and new videos are added every single day! How do I Earn HD$ via BeeTV? HoneyDollar$ are awarded when your Nectar meter fills up to 10. Each time you watch a video your nectar will go up a few points for each commercial completed, once you hit 10 you will automatically be rewarded with HoneyDollar$! Is there a Limit to the Amount of Videos I Can Watch? No, there is no limit. Watch as many as you like! Why is the video player not working for me? 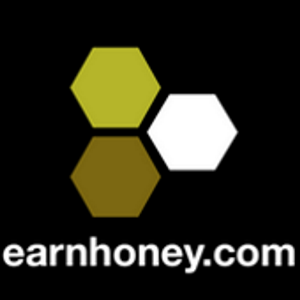 We know that one of your favorite ways to earn HoneyDollar$ is through BeeTV, a great platform where you can watch videos on the latest entertainment and current events, pick up some new fashion and beauty tips, learn delicious new recipes, and so much more, all the while earning HoneyDollar$ along the way. We’re aware that there have been some questions on what is the appropriate way to get the most out of BeeTV without crossing the line of what is and isn’t allowed, so I’m here to shed some light on the topic. The important thing to keep in mind is that we offer BeeTV as an entertaining and rewarding feature that you should actively engage in. We hope you enjoy the content just as much as all the HoneyDollar$ earned from it. We Do encourage members to watch BeeTV actively, to enjoy the content, and to try and earn the maximum amount of HoneyDollar$ per day. We love when people get rewarded. However, please Don’t use any auto-refresh or auto-reload in your internet browser to passively watch BeeTV or to walk away altogether from your computer/tablet/smartphone. This type of shortcut is easily detected and is definitely not in the spirit of EarnHoney and not what BeeTV was designed for. BeeTV is designed for you to actively enjoy the content and get rewarded for viewing it. If you do not use an auto-reload or auto-refresh then you are doing great and do not need to fear deactivation for trying to exploit BeeTV. Also, Don’t use any unauthorized software, script, EarnHoney bot, or mobile emulator to fill in your captchas automatically for you, or to try and exploit BeeTV or BeeTV Mobile in any way. EarnHoney cheats and EarnHoney hacks are not in the spirit of EarnHoney nor the EarnHoney community and are also easily detected by our compliance systems. Using bots can get you permanently banned from continuing to use our site. Finally, Don’t view BeeTV through any third party site. While we use iframes for some of our special offer partners so that you may view their services and products, we do not allow third party iframes for viewing of BeeTV. Only view BeeTV directly through EarnHoney.com or through your EarnHoney Mobile App without the aid of any unauthorized software. Again, if you are using these bots or any unauthorized third party software, your account will be detected by compliance and unfortunately deactivated. These unauthorized BeeTV viewing methods go against the intent of BeeTV and can jeopardize the good standing of a EarnHoney account. If you do not use any of these methods to attempt to exploit BeeTV, then you can continue to actively enjoy BeeTV and hopefully max out daily on HoneyDollar$ earned. While the vast majority of EarnHoney members would never use any of these methods and will never get deactivated, there unfortunately is a dedicated group of users who are always looking to exploit our site and are looking to introduce other members to their cheating methods. If you feel your account is ever deactivated in error, we encourage you to write in to us at compliance@EarnHoney.com to ask any questions you have, tell us why you feel you may have been deactivated in error, or to request a new account with a fresh clean start. We are willing to reactivate accounts as long as the deactivation was in error or the cheating was limited and the member is willing to stop, however these accounts continue to be periodically checked to make sure they remain compliant with a fair playing field for all EarnHoney members.